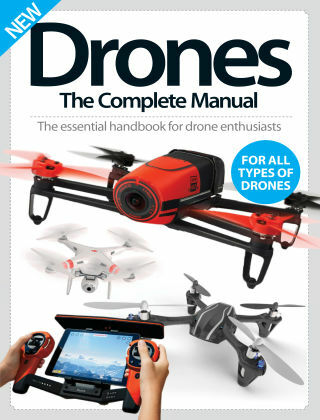 With Readly you can read Drones The Complete Manual and thousands of other magazines on your tablet and smartphone. Get access to all with just one subscription. New releases and back issues – all included. Drones are one of the hottest gadgets right now, and in this book we’ll take you through all the basics, and examine some of the best drones and accessories on the market. You’ll then find inspirational guides to show you what you can do with your drone, and even learn how to build your own. On top of that, discover the amazing ways drones are being used and how they are changing the world, from animal conservation to delivering packages.